Greenwood Formula by Jake promises to make you $100,000 in the next 30 days, or he’ll pay you $10,000 just for trying. However, I’ve had readers who lost $500 deposit and never received the $10,000 from Jack. In this review, I will show you the various evidence that prove Greenwood Formula is a scam. 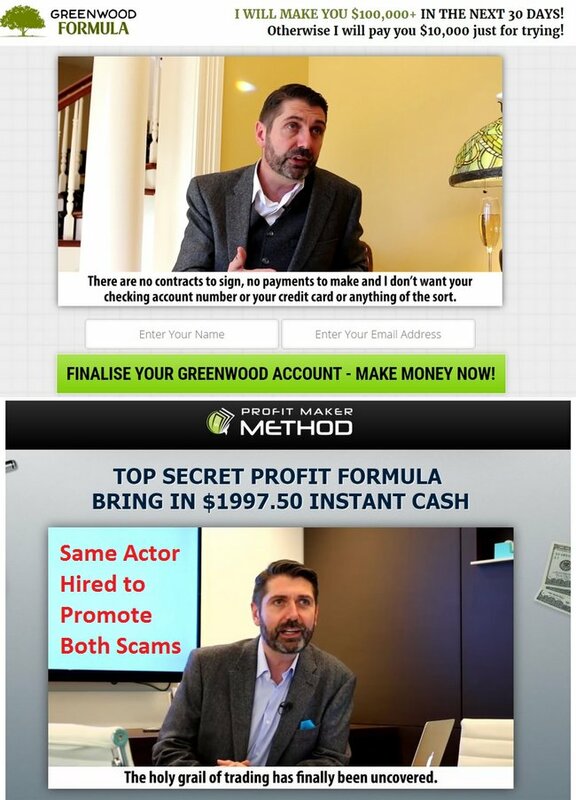 Greenwood Formula is another binary trading software scam that uses an actor to promote itself. All members featured on their website are fabricated from stolen pictures. The disclaimer of the scam clearly states that no actual trade has been generated using the system. All profits shown are hypothetical. Actual results by my readers show a loss of $250 to $500 within a day. Greenwood Formula by Jake claims to be a fully automated trading software that generates thousands of dollars profit for you. To benefit from this software, all you have to do is to register a free account and get started. You don’t even have to pay for the system. You can deposit as little as $250 and start collecting huge profits. And if you don’t make $100,000 in 30 days, Jake will personally pay you $10,000 just for trying. Does it sound like a scam to you when I lay out the facts this way? If you come across an opportunity that seems too good to true, you have to be extra careful. One of my readers reportedly losing more than $400 using the software for just 1 day. Other readers have also reported similar experience with losses ranging from $250 to $500. In case you are wondering, once the trading fund is lost, it cannot be recovered. It is considered trading loss and is not refundable. The victims can only hope to withdraw what’s left in the account. With that said, there are actually ways to detect a scam without having to pay for it. In the rest of this review, I’ll go through some of these evidence and teach you how to make real money online. 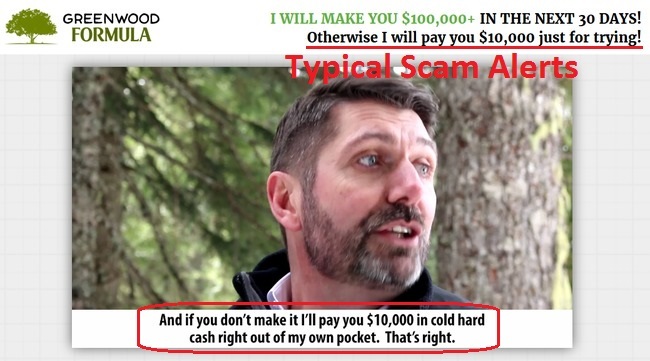 This detail may not be immediately visible to all victims, but “Jake” featured in Greenwood Formula was also featured in Profit Maker scam as Timothy Hollingdale. Apparently, he is an experienced actor that was hired to promote multiple binary trading software scams. It’s possible that these scams are operated by the same group of scammers. Both Greenwood Formula and Profit Maker originate from a piece of generic binary trading software that is proven to lose money for its users. In each scam, an actor is hired to pretend as the founder of the software. This same tactic was also used in other online frauds, recent examples being Blazing Trader and Polygraph Millionaire scams, where the same actor was hired to play different identities. Below the sales video, we can see multiple featured member profiles that are seemingly doing very well with Greenwood Formula software (screenshot above). 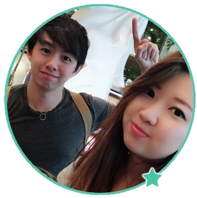 Knowing the huge number of fabricated testimonials in these online scams, I did a background check on every member using their profile pictures. Unsurprisingly, I found that everyone of them was fabricated using pictures stolen from all over the internet. 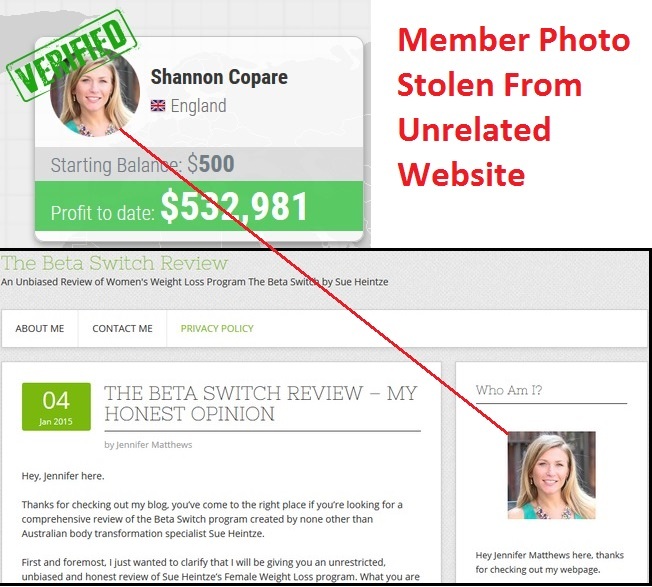 For example, Shannon Copare featured in the screenshot above was fabricated with the photo of Jennifer Matthews, owner of a small weight loss website. Other members are found to be fabricated from photos stolen from other websites, Facebook or Twitter account. None of these individuals are related to Greenwood Formula fraud, let alone generating good profits from it. It’s just another trick by the scammers to instill confidence in its victims, and lure them into signing up for the scam. As much as the scammers want to keep you in the dark, they have to reveal the true nature of the opportunity somewhere in the website to protect themselves from lawsuits. Much like the hidden terms and conditions of some hideous products, Greenwood Formula is hiding the truth behind the risk disclaimer above. The terms cannot be found anywhere in the sales material, because it is supposed to be hidden from you. You can access their original disclaimer at this link greenwoodformula.com/vip/terms to make sure the screenshot above is authentic. Clearly understand this: Information contained in this product are not an invitation to trade any specific investments. Trading requires risking money in pursuit of future gain. That is your decision. Do not risk any money you cannot afford to lose. THE TRADES HAVE NOT BEEN EXECUTED. Despite coercing you to sign up for the “free” money-making software, Greenwood Formula denies inviting you to trade binary options. Note: Frauds that promise unrealistic returns like Greenwood Formula are illegal in many jurisdiction. If they do not include this clause, they are deemed to illegally coerce you into signing up for the scam. Greenwood Formula admits that trading binary options is extremely risky, and it’s your own responsibility if you decide to sign up and lose all your investments. NO REAL TRADES HAVE BEEN EXECUTED using Greenwood Formula software. All profits quoted in the sales material are fake. What about the profits shown in the sales materials? Of course, they are just fake profits used to entice you into signing up for the scam. And if you lose all your money using the software, there is no way you can contact Jake and claim your $10,000. My readers have tried contacting their support team to no avail. Apparently, it’s just an empty promise used to entice people who want to make quick cash online. If you decide to sign up for Greenwood Formula app, you will be required to open a new broker account with their partner brokers, which are unregulated by monetary authorities. The losses are pocketed by the broker, which is then shared with its partner-in-crime – the scammers behind Greenwood Formula system. GREENWOOD FORMULA IS A SCAM. I strongly advise you to stay away from the scam if you don’t want to lose your hard-earned money. Take Surveys For Cash Review – Scam by Jason White!